Sometimes Life is Hard – But it can be worth the fight. Haley Rosewood’s life has never been easy, especially not with a class-A jerk for a boss and a marketing job that barely pays her enough to provide a roof over her daughter’s head and food for the table. Every day is a struggle, and the thought of being romantically involved with anyone is a dream she doesn’t dare indulge. Devon Carrington is the type of man to give the shirt off his back to anyone in need, and when he finds Haley struggling through a bad day, he does everything he can. In return, he asks that she help him pick out lottery numbers and tells her that if he wins, she gets half. When the winning numbers are drawn and Devon and Haley learn that they have won, can the two of them put their one-night stand behind them and build something for the future? Find out in Sometimes You Win. Haley and Devon’s story is three parts: Sometimes You win, Sometimes You Lose, and Sometimes You Play the Game. It’s been three weeks since Haley Rosewood and Devon Carrington won the lottery. Most people would picture their days taking them from one exciting journey to another and their nights filled with champagne and caviar as appetizers to unbridle their passion—but that’s not what happens. Instead, Haley is trying to find a new home, a place to start her business, and a way to keep control of her life. Devon is only trying to help her, but it seems that everything he does just pushes Haley’s buttons in the wrong way. When a new contract comes into his security company, it threatens not only the future of his company, but Haley and Allison’s welfare as well. Devon must take drastic measures to stop it, and Haley has to trust him, but can she before it’s too late? Or will her trust in him be what destroys her in Sometimes You Lose? 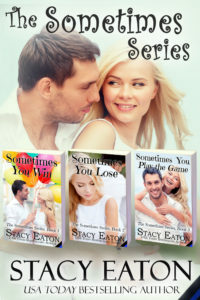 Currently, the first book, Sometimes You Win, is exclusively found in the Luck of the Draw box set. Sometimes You Win will be available as a single title in mid-August. The third book in the series, Sometimes You Just Play the Game, will be available this fall. 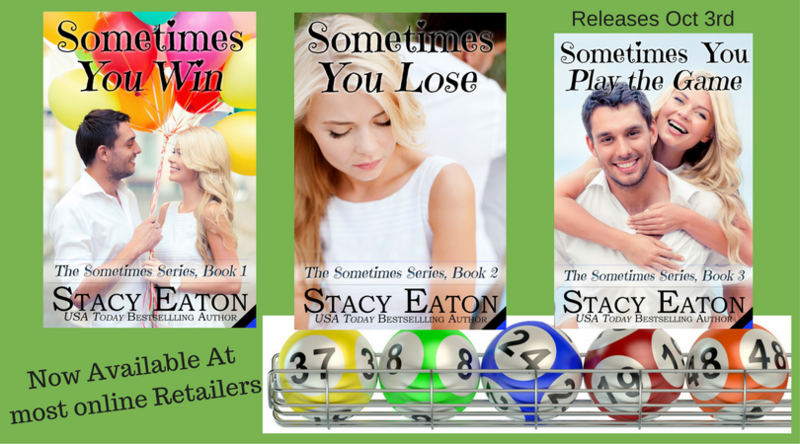 In Sometimes You Win (Book 1), Haley and Devon found each other when Haley was having a really bad day. While getting to know one another, good luck smiled on them and they won the lottery jackpot of fifty-six million dollars. 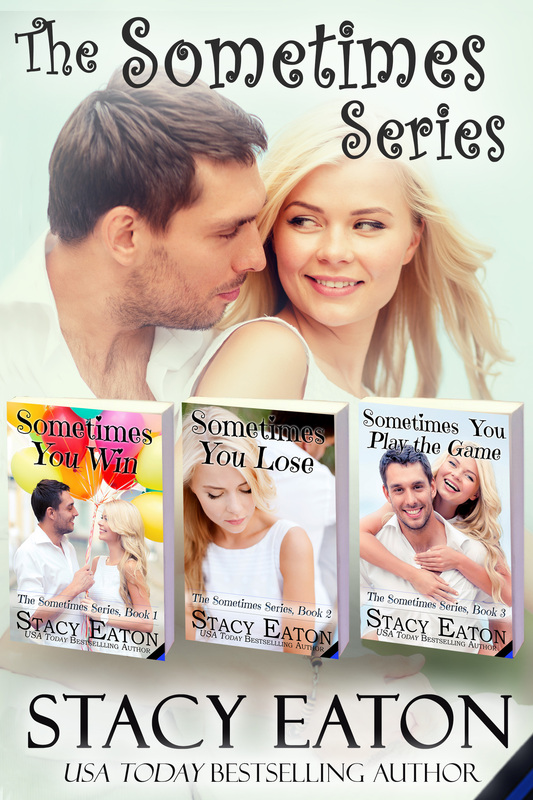 In Sometimes You Lose (Book 2), Haley and Devon were learning how to deal with life as wealthy people but it wasn’t all champagne and diamonds. In fact, secrets were learned that seriously jeopardized their relationship, and their businesses. In Sometimes You Play the Game (Book 3), Haley is going to come back stronger than ever and take control of her life. Not only is she going to clear the slate, and her name, but she’s going to become the kind of woman she has always wanted to be: strong and confident. The road for Haley and Devon might be bumpy at first, but once Haley plays the game and puts someone back in their place, their relationship will finally be able to grow to where it needs to be.